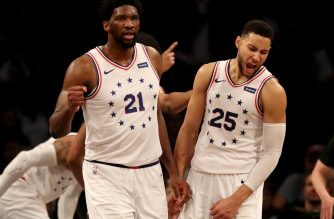 LOS ANGELES, United States (AFP) — Marc Gasol and Markelle Fultz were reported to be on the move on Thursday as the NBA’s trade deadline expired with no deal for New Orleans Pelicans star Anthony Davis. 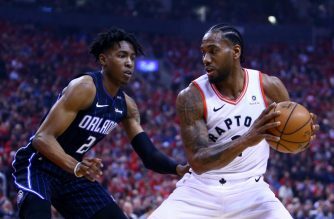 Memphis Grizzlies star Gasol was reportedly headed for the Toronto Raptors in exchange for Jonas Valanciunas, Delon Wright, CJ Miles and a 2024 draft pick, ESPN reported. Fultz, the number one pick in the 2017 draft, meanwhile was being offloaded by the Philadelphia 76ers to the Orlando Magic, sources told ESPN. 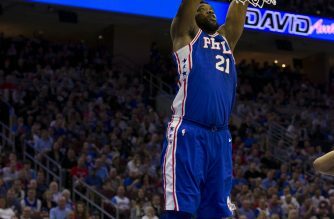 Magic forward Jonathon Simmons heads to the Sixers as part of the deal while Philadelphia will receive a first-round pick and a second-round pick. Gasol’s arrival in Toronto comes after 11 seasons in Memphis which have seen him earn All-Star honours on three occasions as well as the 2013 Defensive Player of the Year award. Milwaukee meanwhile aimed to bolster their charge towards the playoffs with the acquisition of Nikola Mirotic from the New Orleans Pelicans. The Pelicans receive Jason Smith, Stanley Johnson and four second-round picks in exchange. However the flurry of trades before the deadline expired at 2000 GMT did not include a move for the Pelicans All-Star Davis. 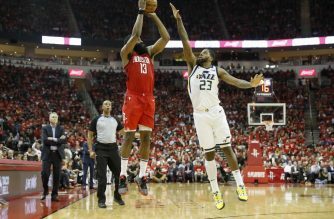 Davis has been at the center of the window’s most compelling soap opera, with the Los Angeles Lakers attempting to negotiate a blockbuster deal for the 25-year-old power forward. However the prospect of Davis leaving New Orleans receded after the Lakers on Tuesday stating they had ended their pursuit, citing “outrageous” demands by the Pelicans front office. The Lakers reportedly offered Lonzo Ball, Kyle Kuzma, Brandon Ingram, Josh Hart, Ivica Zubac, Kentavious Caldwell-Pope and two first-round draft picks in exchange for Davis. During the Lakers’ 136-94 thrashing by Indiana this week, Pacers fans taunted Ingram with chants of “LeBron’s gonna trade you” during the game. JaVale McGee was mocked with chants of “Not worth trading”. On Thursday, Lakers star LeBron James was non-committal on whether he believed the uncertainty swirling around the team over the possible Davis trade was damaging morale. Meanwhile, the New York Knicks confirmed Thursday they had waived center Enes Kanter. Kanter had grown increasingly unhappy with reduced minutes this season and had been keen for a move, reports said. Kanter, who has made headlines for his trenchant criticism of Turkey President Recep Tayyip Erdogan, has been linked to a possible move to the Boston Celtics. “He is a courageous individual and we thank him for his many contributions both on the court and in the community,” Knicks general manager Scott Perry said in a statement. Kanter has averaged 14 points and 10.5 rebounds over 44 games this season.